The exterior of Il Fontanaro’s main villa is dominated by an abundance of flowers from early spring until late fall each year. Rich yellow and pink hues dot its warm brick-and-vine covered façade – each standing testament to the organic nature of this family establishment. The entrance, though humble enough, is a central hub of activity. 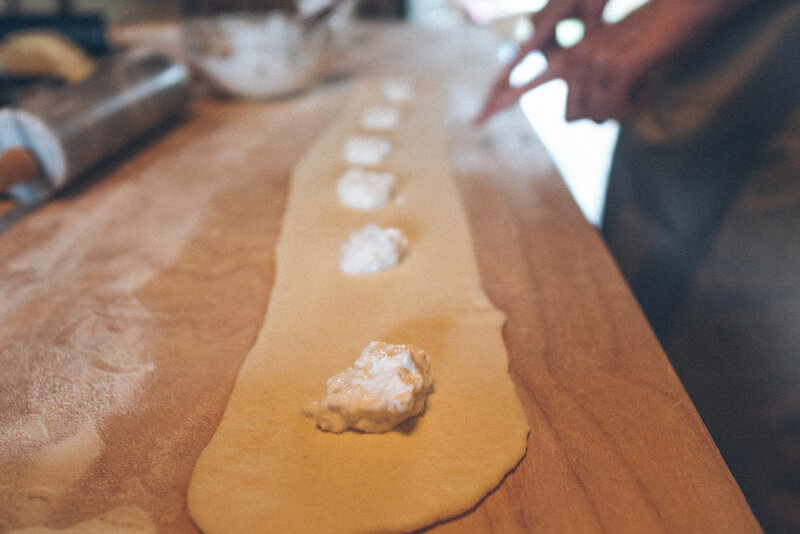 Connecting the Pinelli family’s well-lived in, authentic Italian kitchen of the main house to the guest facilities beyond: family, friends, and farmhands are almost always nearby. The comfortable outside common area to the immediate left of this entrance employs itself as an outdoor dining patio. Next to that lay the clever combination of wine library (with the door always open) and cellar (ask for a tour – you’ll be sad if you don’t). In-between, planted herbs, loyal pets, and contented guests can often be found – the charm of Fontanaro abounds. 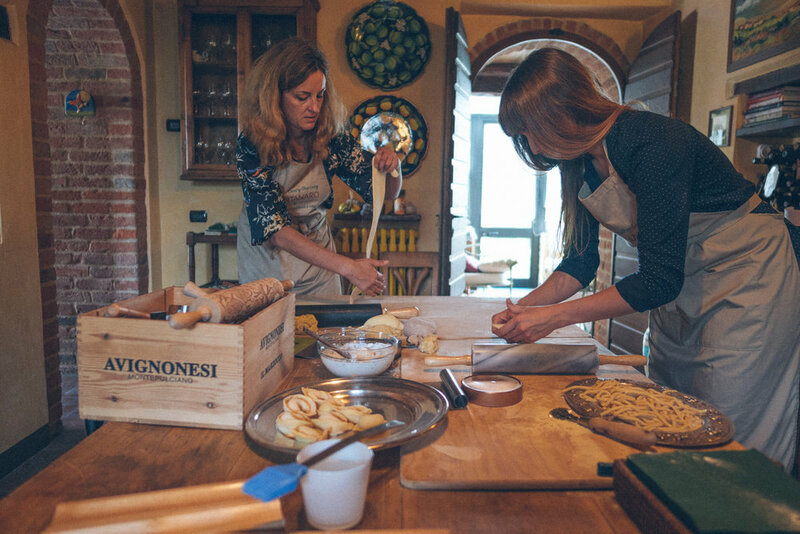 It’s here where curious cooks and villa inhabitants often gather for the renown Fontanaro slow cooking school courses of mother-and-daughter duo Alina and Lucia. Impossible to go hungry, one’s fancy is further tickled by their generous offerings of organic from-the-farm Sangiovese wine throughout the course duration. 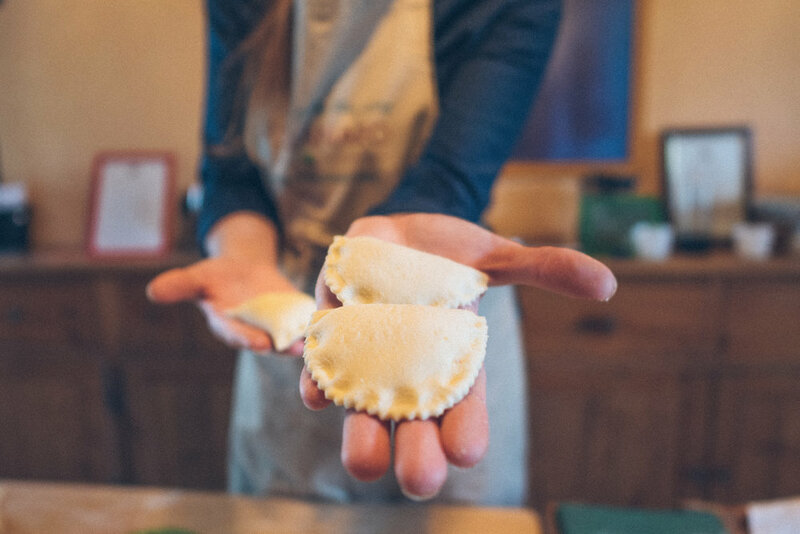 Previously a practical, no-frills farming estate minutes from the medieval Umbrian village of Paciano, Il Fontanaro now seduces guests to indulge in produce of another sort. Organics and sustainable practices are top of mind here. And though the slow cooking movement at the farm’s core is indicative of that, the Pinelli’s never hesitate to say that life moves a little slower here and they like it that way. It’s that peace of mind and sense of calm that ignites a sense of appreciation in its visitors – who are often destined to become friends here. Il Fontanaro’s superbly appointed private villas and suites are intuitively laid out and stocked with all the niceties. Wine, pasta, and homemade marmalades among them. 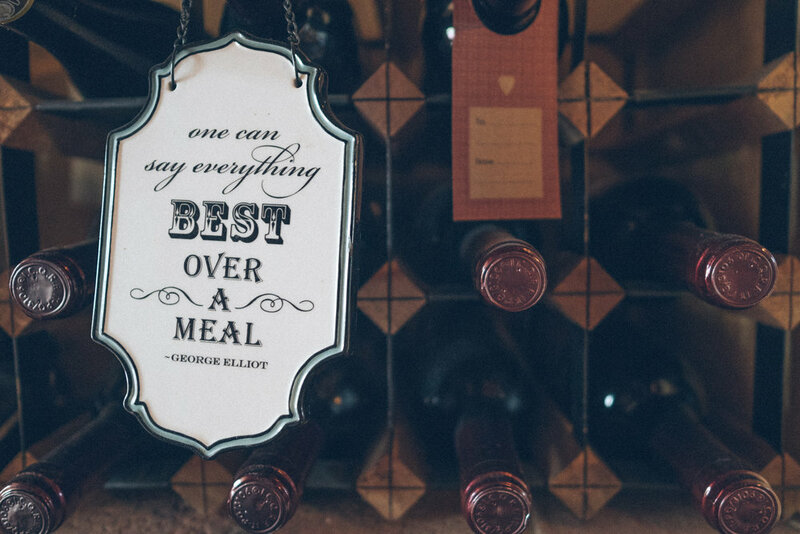 Naturally, it’s easy to feel at home and fall in love with Il Fontanaro over a glass of wine fireside, no doubt. Should home be a comfy, welcoming Italian villa that is. But the experience simply begins in your private quarters on the farm – it doesn’t end there. Mornings are best enjoyed with brisk walks through the olive orchard and vineyard; afternoons over a jaunt in town, cooking class, or with a grape-based bevvy poolside. Any which way you wish to spend it, one day won’t do. We opted for four and still feel as though we cut our time too short. And, should it be a truly authentic experience that you’re after – try coming back in the fall. Bookended by both the Wine harvest in September and the official opening of the olive mill late October, it may very well be the most beautiful time to call Il Fontantaro home. Above: This bountiful olive tree is one of less than two dozen up for adoption at the farm this year. Here hands-on activities and involvement in sustainable living is celebrated with agricultural festivals, cooking classes, and year-round education. That education comes two-fold when you have the joy of being a long distance organic extra virgin olive oil producer. 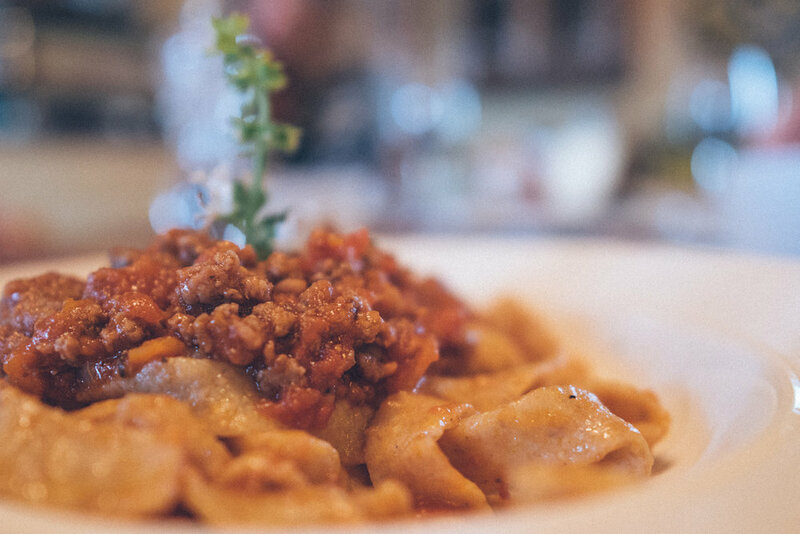 While holding fast to the integrity of organic foodie practices, Il Fontanaro further enhances its appeal without compromising centuries-old Italian principles of leisure, cultivation, and hospitality. This is realised through their signature Wellness amenities in the heart of the groves. To discover more sophisticated Old-World luxury, see “Tranquility of Rural Belgium” and check out more of what Il Fontanaro has to offer via the images below.